The Barbarians were the first to break away from the B.A.A. (Bermuda Athletic Association). This was in 1954 when a number of policemen and some of their friends decided to form their own team. The better Police players were already playing for the B.A.A. at this time, but they joined their brothers in this new venture which strengthened them considerably, and therefore made them a viable entity. After four years the team officially became the Police Recreation Club's Rugby Football Section, alias "THE POLICE", or B.P.R.F.C., which it still is today. In 1959 (against the very strong recommendations of the Chief Superintendent) the Government of Bermuda, in its infinite wisdom, decided to move the Police Headquarters from the centre of activity in Hamilton to the then recently vacated military complex at Prospect. At the same time the Police Club was also moved there as well. 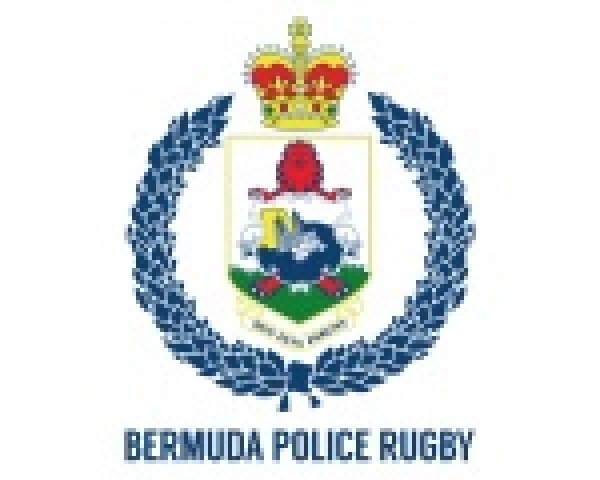 The Bermuda Police Rugby Football Club (B.P.R.F.C.) came into being on Monday, 7th September 1959. The first Chairman of the B.P.R.F.C. was the Police Commissioner at that time Mr. R.G. Henderson, a strong supporter of the game and a former Scottish International. He played against both England and Ireland in 1924, and was a member of the British party that toured Africa in that same year. The first game played by the B.P.R.F.C. was against H.M.S. Troubridge, on Wednesday 4th November 1959. The Police won handsomely 35-0,with Peter Stubbs (who would go on to be a Chairman of the Club) taking the place of Dave Lunn Sr., and ending up kicking the first conversion of the day. The first Captain of the B.P.R.F.C. was a Non-Police officer, Mr. Paul Rich, a member of Her Majesty's Armed Forces left behind in Bermuda to tidy up the final details of over 180 years of Garrison duty. He was a most popular choice and his skills on the rugby field, where he played at standoff, were matched only by his ability to get the best out of his players. In 1960, Dave Lunn Sr. persuaded the Club to adopt the "Police Blue" which is still worn to this day. Prior to that time, the Police Officers and the associate members of the Club had been wearing the black strip of the "Barbarians" Rugby Club, whose short history has never been officially recorded. They played out of the old Police Barracks on Victoria Street, where the City Hall car-park stands today, and used the former Army Garrison Field at Prospect , which has now made way for the National Stadium. In the same year Mr. John Logan (a former Hon. Secretary and Club Stalwart, whose many recorded minutes and reports make up a lot of what you are reading now), negotiated the Club's affiliation to Twickenham (the R.F.U. ), as he had done four years earlier in relation to the Bermuda Rugby Association. The Club's Affiliation came into effect on 1 September 1962. In 1961 the Club began 2nd XV Rugby, mainly against the many British Royal Navy ships patrolling the area at the time. To this day all four local clubs have a 1st and 2nd XV. Back then in the very beginning the B.P.R.F.C. did not do much better than the Barbarians before them, winning some while losing more, but gradually they began to acquire more and more better players. The B.P.R.F.C. won the Robin Hood Trophy and the John White League Trophy. Consequently, the B.P.R.F.C. has developed into possibly the strongest of the four local Clubs on the Island, winning numerous League and Cup Honours on a regular basis over the last 40 years. Its most notable season was in the 1989/90 when the B.P.R.F.C. 1st XV became the first and only team to date to win the coveted Grand Slam of all that season's trophies. The Club also honours the memory of one of its most enthusiastic supporters and a former Police Commissioner, Mr. George Duckett O.B.E., who was assassinated whilst serving as the Head of the Force, along with the Governor of the Island in the 1972 riots. A memorial game has been played in his name every year since his tragic death. For past few years, this game has been played back up on the new Police Field, where an enormous amount of work goes into transforming this ground from Soccer/Cricket pitch into a Rugby pitch for this one-off event. The B.P.R.F.C. in the past have played at Prospect, where they used to play at the Old Army Garrison Field, which was given to them to share with the other sporting groups from the Police Recreation Club. But when the Government decided it would turn half of the Prospect buildings into schools, it was not long before the education department were casting· envious eyes on the playing field. Sure enough, within a couple of years of the euphoria of the club eventually getting its own field, this field was gone altogether. Although the players and other club members were disappointed at this reversal, it wasn’t a major catastrophe as far as they were concerned. That was until they went to retrieve their goalposts only to find them gone. Four thirty five foot long tapered wooden poles painted Royal Blue and White, don’t just pick up their eighteen and a half feet crossbars and walk away ... But these ones did! The B.P.R.F.C. in the last 15 years has changed dramatically, without an influx of players coming from within the Force. As the Government at the time put a stop to the practice of bringing in expatriate Police Officers, so the need to find players from other sources was ever more apparent. This proved to be a very demanding cause and still does to this day. But, as always, the B.P.R.F.C. seems to cope well with all matters thrown in its path. After the initial downside it now seems to be rectifying itself with Chefs, Accountants, Brokers and even Students making up a lot of the players these days. The 1997/98 season, for instance, saw for the first time a B.P.R.F.C. 1st XV take to the field without a single Police Officer on the team sheet. Despite this fact the club today continues to have a healthy Blue Vein running right through it. In October of 2005 the idea was first floated of forming a ladies section in the B.P.R.F.C. in order to provide competition for the women's squads that the Renegades and Mariners clubs were training. The ladies first started training with Ryan "Kermit" Sommerville as coach - lovingly nicknamed "The Couch" by the Ladies with Jennifer Baird appointed as the first Ladies Captain. Their first league game was a 2-1 win over the Renegades at the Malabar field in December 2005. The ladies touch league was thus established and after Christmas 2005, regular league games were played alongside the men's fixtures. The 2005/06 season has been the only season so far that the Ladies fielded a serving police officer (Denise Downey) on the roster. She retired after a short but eventful career, but the ladies are hoping that more serving women police officers will join in the future! The first ladies game at the Duckett Memorial was held in January 2006 and the ladies trophy for this contest was named after "Roseanda Young" - the Deputy Police Commissioner at the time and the first lady to hold such a high post in the Bermuda Police Service. The B.P.R.F.C Ladies team won this inaugural game. Over the last few seasons, the ladies league has seen a change from touch to flag rugby and back to touch again. The women's game is growing rapidly in Bermuda. The B.P.R.F.C. Ladies have had 6 members selected to play with the Bermuda women's contact squad in 2009. The B.P.R.F.C. men's section has toured extensively and rather enthusiastically at times since its inception, including a touring party to Toronto, Ontario in May 1999 for a game against its colleagues the Toronto Metropolitan Police (The Wild Boar's RFC) for our 40th Anniversary. The tour destination in May 2008 was to Costa Rica, where we played against a Costa Rican national select side, defeating them 31-20. The tour was a great success with 28 tourists attending - a blend of club veterans and rookies ranging in age from the esteemed tour veteran and retired Police Officer, John Williams (Age undisclosed!) to tour rookie, Reserve Police Officer Gregory White (Age 23). In 2009 we toured the Dominican Republic and once again played the national team; successfully defeating them 20-0. In 2013 the BPRFC were honoured to travel and play Key West RFC. The touring party was 22 strong and had a great victory whilst having a 'fun filled' tour. The 2013/2014 Season was another to savour. The Police Men's team won the Bermuda ’Grand Slam’ for the 1st time since 1991! Winning the League and Cup double along with the Duckett Memorial, Marsden Memorial and 7s cup. The womens team also won the league with a near unbeaten season. The Futures Bright!! The Futures Bule! !